The University of California San Diego cross country and track and field programs has named Addy Royal as new assistant coach beginning in 2018-19. Addy Royal. Photo courtesy UCSD Athletics Dept. Royal previously served as assistant coach at Southern Oregon University, where she helped guide the men’s team to a fourth-place finish at the 2017 NAIA National Championships, as well as leading the women’s team to seventh place at the 2016 NAIA Championships. “We are very excited to have Addy join our program,” said UC San Diego cross country head coach Nate Garcia. 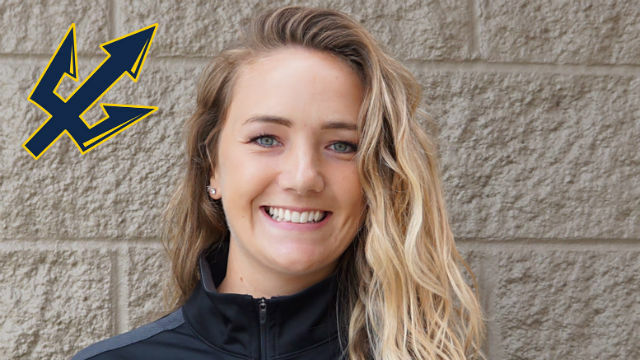 “Her experience, both personal and in coaching, make her a great addition to the Triton family. Royal earned her Bachelor’s degree at Sacramento State in 2016, majoring in communication studies with a concentration in digital media. She later received her master’s in Intercollegiate Athletic Leadership/Coaching at the University of Washington in the summer of 2018. –University of California San Diego Athletics Dept.